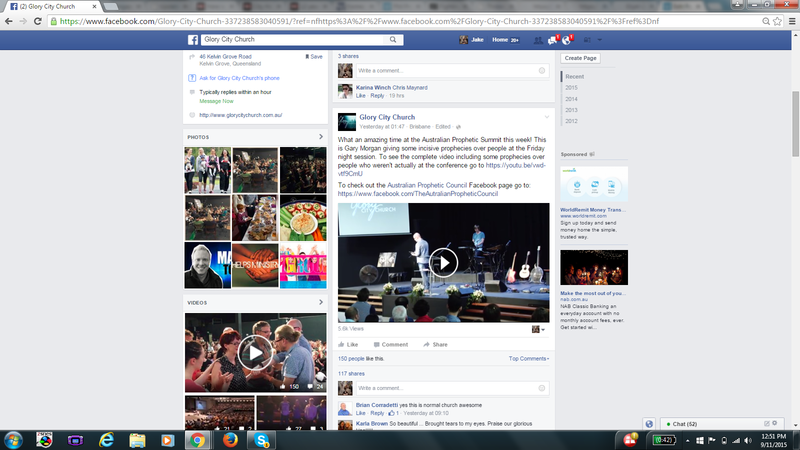 Why we think Steve Shultz and Katherine Ruonala may have let Amanda Wells speak at Prophetic Summit 2015. Home › Elijah List › Why we think Steve Shultz and Katherine Ruonala may have let Amanda Wells speak at Prophetic Summit 2015. 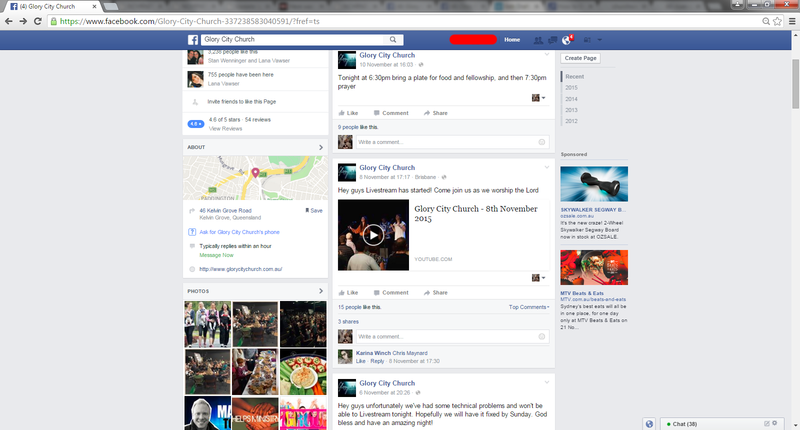 In 2015, Glory City Church advertised their November ‘Prophetic Summit 2015‘ and all their false prophet speakers. We put all the names and faces of Prophets up from the ELijah List, contacting them that they were all involved in the game. Before the Glory City Church ‘Prophetic Summit 2016‘, we let all their speakers know who the Culprit was and what their ‘crimes’ were. Although Amanda Wells was removed from their advertising, we announced at the ‘Prophetic Summit 2015’ that it was Amanda. In 2016, Glory City Church advertised their November ‘Prophetic Summit 2016‘ and all their false prophet speakers. We notified all the Prophets from the Elijah List AGAIN that Amanda Wells was still plagiarizing after being exposed in 2015. Before the Glory City Church ‘Prophetic Summit 2016‘, we alerted people publicly that no NAR Prophet cared about Amanda Wells’ crimes or the fact major NAR prophet Katherine Ruonala was covering up her crimes. This resulted in Steve Shultz secretly pulling all of Amanda Wells’ prophecies from his Elijah List without any explanation. But here is the issue – Katherine Ruonala and Steve Shultz KNEW before the 2015 Conference that Amanda Wells was a thief, a liar and plagiarist. 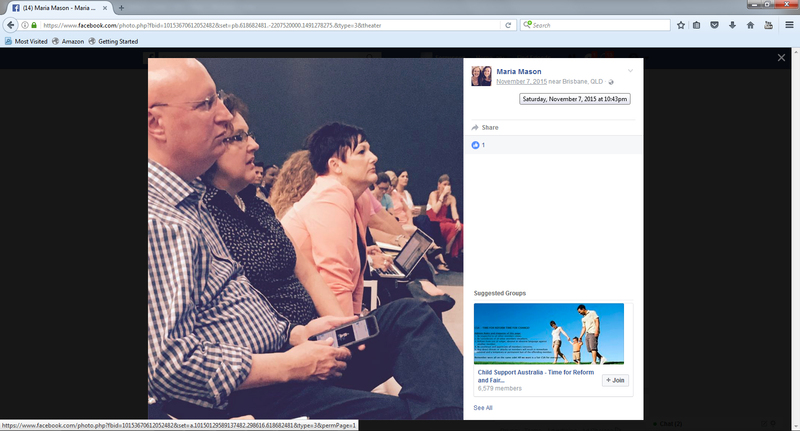 And it appears that these two NAR Apostles had no problem allowing Amanda Wells to speak. The Australian Prophetic Summit is happening this Thursday, Friday and Saturday. 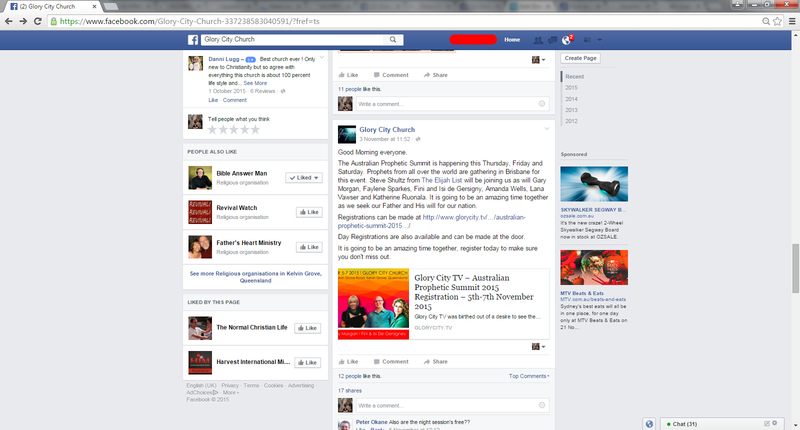 Prophets from all over the world are gathering in Brisbane for this event. Steve Shultz from The Elijah List will be joining us as will Gary Morgan, Faylene Sparkes, Fini and Isi de Gersigny, Amanda Wells, Lana Vawser and Katherine Ruonala. It is going to be an amazing time together as we seek our Father and His will for our nation. Day Registrations are also available and can be made at the door. 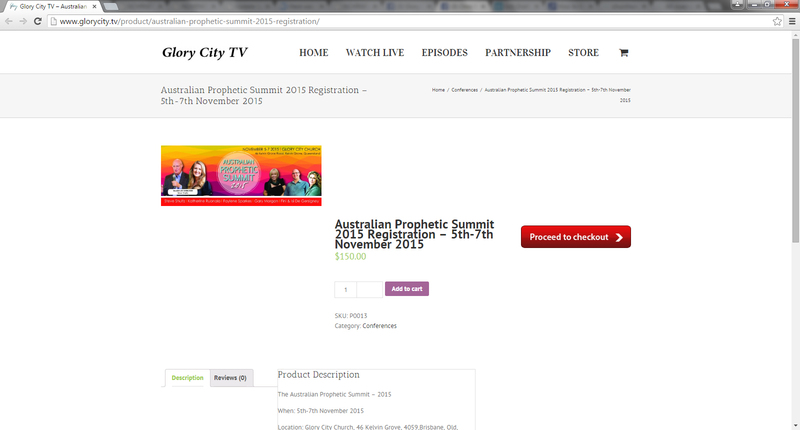 Source: Australian Prophetic Summit 2015 Registration – 5th-7th November 2015, Glory City TV, http://www.glorycity.tv/product/australian-prophetic-summit-2015-registration/, Accessed 12/11/2015. When we quoted Lana Vawser and Amanda Wells for the clues, their image went missing in the Prophetic Summit banner. Coincidence? Oddly, Livestream was back up and running after the conference. Not only has Ruonala’s behaviour and actions convinced us that she knows she is guilty of harbouring the ‘Culprit in the Pulpit’, her silence has been deafening about Amanda Wells. We believe Ruonala’s actions (and silence) are sufficient to conclude that she knows that Amanda Wells is guilty – based on her “cover up”. This advertising gimmick gave everyone outside of the Conference the idea that neither Lana Vawser or Amanda Wells was speaking at the ‘Prophetic Summit 2015‘. What does this all mean? 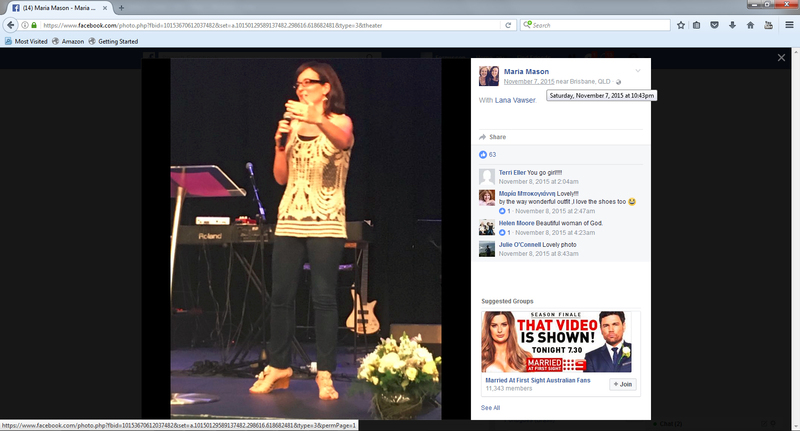 If Apostle Katherine Ruonala updated the advertising of her conference to exclude Lana Vawser but allowed Vawser to speak, does that mean we were right and that Amanda Wells did officially speak at her Prophetic Conference? Both these images were uploaded at the same time on the final day of the Prophetic Summit 2015. The image on Shultz’ tablet indicates that it was Vawser speaking and that Amanda Wells was watching Vawser speak. Amanda Wells is sitting on the front row with other prophets, giving the impression she is a valid prophetic voice. Amanda Wells is situated beside two prophetic speakers, Shultz and Isi De Gersigny. This means she was still in the guest of line-up speakers to speak at the conference. Once again, the New Apostolic Reformation Apostles and Prophets have proven they are an unrepentant lawless cult that promotes a culture of cover-up. ‹ Todd Bentley and His Generals: Kenneth Hagin, TL Osborn & Oral Roberts.